No worries, again! Episode Five called “The Fightback” will begin the exoneration of the McCanns. Excellent review Pat which I have shared. I watched 3 and 4, saw the way it was going and the narrates and contributors and went to bed. I'm trying to push the Australian podcast which is in a different league to this nonsense! Thankyou for that, I got to episode 3 and realised they were just hashing together MSM theories of bduction and got bored, now I know not to waste any more of my time with the rest of the series, keep up the good work ! Thanks for this excellent review, Pat. The McCanns and Co claimed to have nothing to do with this documentary. Ha! Gerry and Kate wrote the script. Sheer propaganda for this deviant couple, funded by deviant organizations and people. Netflix is richer for all the new subscriptions. The McCanns and ‘actors’ are richer from the proceedings of the documentary. The producers probably have an invested interest on the McCanns. Perhaps, one narcissist understands another narcissist, and they stick together. BUT, Madeline WILL get justice. Haven't got Netflix and don't think I really want to see a copy and paste job. Could you, as a guess\rule of thumb say what percentage, apart from S&S contribution, was old footage and\or well known script from new interviews. I would be surprised Justine McGuiness and Brian (Everest) Kennedy got themselves involved again. I didn't see anyone on line mention the Gaspar statements. A strange combo of Gamble and S&S - second bite of the cherry-cake to get at the HATER TROLLS. Wonder what happened to Brunt! Yes, a MCCANN/netflix production alll the way, beginning with the great promo lead-up from the ‘outraged’ couple themselves, issuing the usual threats for good measure. They knew in advance exactly what the content would be as Team McCann practically ran the show and were out in force. One funny thing in programme was Brian Kennedy stating categorically that within seconds of meeting the McCanns he knew they were telling the truth, but then promptly got duped, not once but twice, by liars and fraudsters, Metodo3 and Oakley International. So much for his instinct. A Team McCann production all the way. The only two things unaccounted for are Gerry McCann's tennis bag and Madeleine McCann. Not once has the body language of those two parents ever matched the words coming out of their mouths. Cheers Pat. I had a feeling it would be pointless. So it's back to square one again... surely the police could have solved this cases ten times over by now if they investigated those involved. Cheers Pat. Might have know it would be pointless. Surely this case could have been solved ten times over by now if the police interogated those involved. Brilliant read. Wish I’d of found this before wasting 8 hours of my life listening to absolute dribble. Great point on Brian Kennedy’s “Blink” assessment! Thanks for that Pat, you’ve saved a lot of us from looking at this propaganda dribble , I’ve never read Kate’s book and won’t watch this either after reading your excellent review . I'm afraid I've already wasted about 8 hours of my life watching this BS propaganda in favour of the McCanns. I just knew it would be this way, especially having seen the almost equally biased Netflix documentary on Amanda Knox. However, I could hardly legitimately criticize it if I hadn't seen it for myself. I must say, your synopsis is admirable, and includes some things I hadn't thought of. Thank you. I notice they employed that very old device of starting with a person who appears as skeptical as the viewer (Jim Gamble, who says he didn't much like Gerry when he first met him YAWN). Then, showing him the light, and convincing him that he was wrong, and that Gerry is innocent, and thereby encouraging us (the thickies) to the same conclusion ! I only wish you HAD been invited onto the program Ms Brown (Although they would have probably edited it to make you seem like a "McCanns are innocent" sympathiser ! I’d hazard a guess that most of these people i.e. Hubbard, Summers & Swann, Gamble etc would never have contributed to the documentary without a big thumbs up from the McCanns. 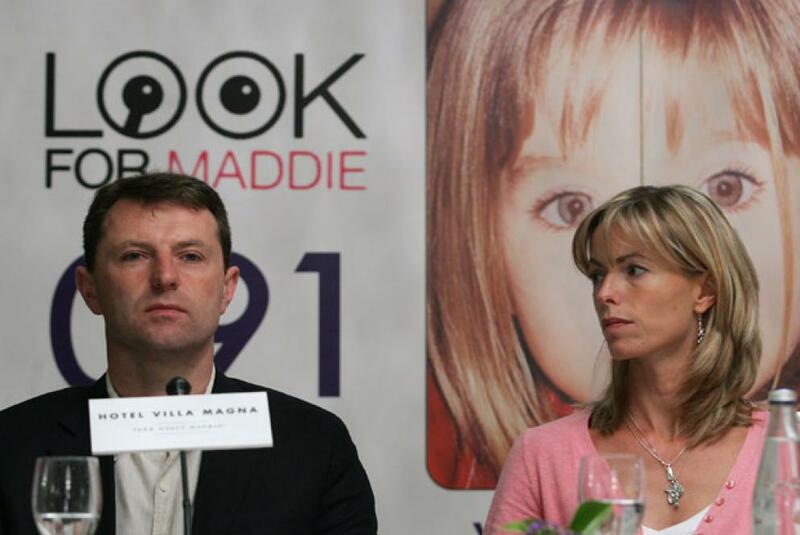 The McCanns disingenuously claim Netflix may hinder the current Scotland Yard inquiry but given how they behaved during the original investigation when their daughter first went missing, their disapproval comes across as phoney and ridiculous: allowing numerous people to stomp all over the crime scene; deliberately creating a media circus; claiming the shutters were jemmied and broken when they weren’t; GM fiddling with the shutters before police forensics examined them; deleting texts: hiring private investigators against Portuguese law; releasing an out of date photo of their daughter (as a 2-year-old); releasing details of her eye defect against police advice; Kate McCanns refusal to answer questions; their friends, the Tapas 7, refusal to attend a reconstruction which of course spared the McCanns from having to do so; and, apart from a quick run around the Ocean Club, zero searching by any of them. 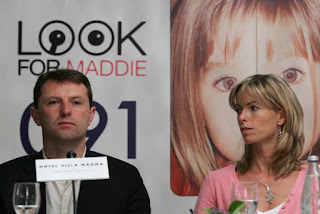 In addition, the Tapas 7 have virtually vanished off the face of the Earth, rarely seen or heard of in past 12 years, taking no part in the McCanns campaign or the so-called search for the little girl, even though they spent the last week of her life with her and her family. I was so disappointed in the crappy Netflix series. I honestly expected more. Brian Kennedy's quick appraisals of people were an absolute joke and as for his son, words fail me. I have to say I was shocked by Sandra's turnaround. According to Irish journalist O'doherty Martin Smith never did withdraw his statement and maintains he is 60% - 80% convinced the man he saw carrying a child was Gerry McCann. He even contacted the BBC to complain that it's Panorama documentary claimed he had changed his statement. The BBC admitted the 'error'. Episode 6 from 14 mionutes in. Jane Tanner said " I think my starter was due to be served so I went to do my check on the children" She then claimes she saw a man walking holding a child fitting Maddies description. So as she enetered the apartment to do her check Maddise bed would have been empty if it was her with the man, so why didn't she raise the alarm then ? If Maddie was in her bed when Jane checked then the man caryying the child is irrelevant in this case. Why wasn't that picked up ? Or is it spot the deliberate mistake series ? There’s something very odd about the whole thing and the pendulum of doubt swings wildly. Very accurate review Pat. Here in the UK, so many viewers of the fictional Netflix documentary are now championing the McCanns as if they are saints. It makes me want to scream in frustration! When is this poor child ever going to get the justice she deserves. The parents are guilty as sin. The whole matter stinks of corruption and our government should be disgraced. Had they both been from a working class background they would be rotting in prison. Ah, that would be the same Anthony Summers who wrote "The File on the Tsar" in the mid 70s and revised it in the mid -80s ? The one that claimed that whilst the Tsar and Tsarevich may have been executed, there was no massacre at the Ipatiev house ? That the daughters and Tsarina were smuggled away and used as pawns in a deal between Lenin and the Kaiser? The Martin Summers who claimed that Anna Anderson WAS Anastasia ? That Anthony Summers, yeah ? Thanks for this thoughtful review, Pat. I'm first time visitor to your site so will be reading some more of your work. I got to the end of the third episode and was not surprised by the trained dog finding the corpse odor. I was then anxious to watch the next episode but had to get some sleep. I will likely skip watching the rest of the series now that I've read your review. One of the strangest things of this whole story is the fact that the parents left their small children alone while they went to dinner. I mean, really? I'm a pretty liberal parent but we either took our babies with us to dinner or we (once or twice) hired a reputable babysitter from the hotel concierge. Both times, older grandmother aged ladies. The fact that the McCaans and their friends left babies alone even if they were sleeping is disturbing on a few different levels. So, I thought they were beginning to get somewhere with the journalist's opinion on that and then the trained dogs. I guess not. So, the parents are completely innocent...? Pat, what is your opinion in relation to David Payne? What do you think about Katherina Z. Gaspar and her husband Arul S. Gaspar testimony concerning their vacations in Majorca in 2005? Also the information provided by Yvonne Martin related to David Payne? This woman tried to help the McCann during the first days after Maddie’s disappearance and she was ignored. Shouldn’t David Payne and his relation with McCann be more deeply investigated? I was not interested in this case before. Of course, I heard that a child disappeared in Portugal and parents are looking for little girl - that's all. I watched Netflix and that's when I started to suspect that something is wrong with the parents. This was mainly due to the contradiction in the testimony regarding the window - whether it was open. From the statement of a Portuguese journalist that you can not see a building with children from the Tapas restaurant. And also because of the experiment with dogs. I also noticed that the document was going towards the cosmic and unlikely theories. And also that the journalist who changed the 180 degree viewpoint (that you mentioned) is unbelievable. This prompted me to search for information and so I found your blog. I think that ultimately Netflix's film, despite its shortcomings, may help to solve the mystery. And the increase of interest will force the authorities to act to solve the case. Is there any chance of getting the Renault Scenic DNA re-tested with new techniques? We need a new break in this case -- this charade needs to be brought to an end. Why haven't I seen any news in any UK papers about American Dr Mark Perlin from Cybergenetics offer to retest the DNA taken from the McCann's vechicle and apartment for free. Why hasn't Scotland yard taken up this offer to finally put an end to whether the DNA taken was Madeleine McCann or not?? It disturbs me that an offer is made to clear up some evidence and the offer isn't taken up or even discussed in the UK media. It is certainly in the Australian and New Zealand media. Hi pat, ive never been able to understand kates very odd book? Its not the normal book a mother would write? Pornagraphic, and disturbing for her son to read? 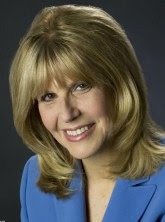 Comes across very unsavory and deeply sick, to her obssesion, about peodaphiles? Its often true , this is a projection tactic, accusing some one else of something she herself is? A narccasistic trait in abusers. A master in misinformation, and misdirection. Kate would never unselfishly invite anyone asking awkward questions she hasnt rehersed for , imagine the silence without pr? Their so confident , they need other liars to change their stories? Enough said, a very good post pat, your spot on. Welcome to The Daily Profiler, The Pat Brown Criminal Profiling Agency Blog. Please feel free to join in our discussion and comment on the "Criminal Profiling Topic of the Day"! "Killing for Sport is the most valuable insight into the minds of serial killers that you will ever read. While other profilers tend to conceal the clear facts behind complex technical language and psychobabble. Pat Brown actually tells it like it is." All work by the authors of this site is licensed under a Creative Commons Attribution-Noncommercial 3.0 License.